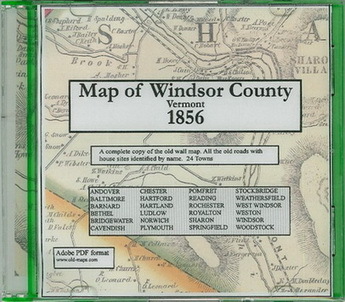 A CD ROM reproduction of the 1856 "Map of Windsor County, Vermont" The original map was the first complete view of who lived where in the 24 towns. 1000s of sites - homes, schools, churches and businesses- are located and named. 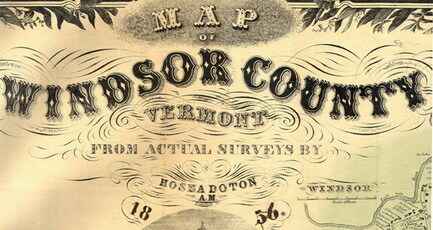 All maps and data on the original have been scanned for this reproduction. The publication is in a PDF file, an easy to use book-like format. Adobe® Reader® software is required to view the publication. For those who do not already have this widely distributed program a copy is included on the CD.